So Lottie Lipton’s most recent books, The Eagle of Rome and The Catacombs of Chaos are well and truly out in the world now and I’ve had a great time publicizing them. I performed my story games session at Crediton Library, as well as holding a ‘Writing for Children’ workshop for grown-ups. 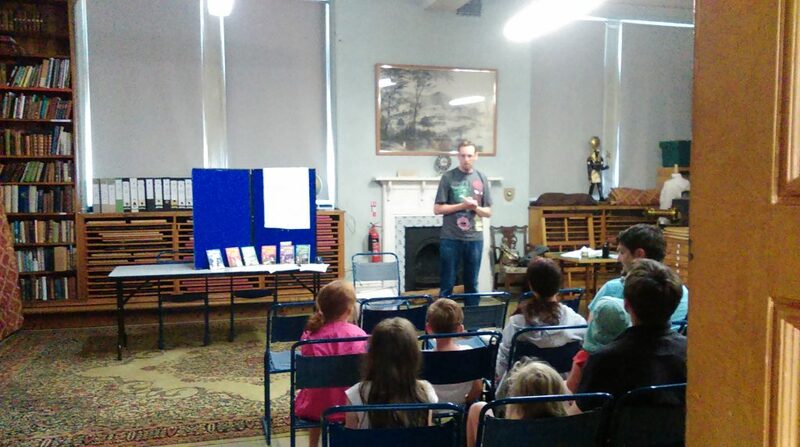 The official launch event was at Torquay Library where I held a Codebreaking session. Next I’ll be at Torrington Library in Devon on Friday 12th August from 10:30-11:30 for more codebreaking fun, followed by Northam Library from 2pm-3pm. Come join me! ‹ Lottie Lipton and the book trailer of doom!